I’m very fond of these little handbooks by Christina Foyle, who joined her father in the publishing game at the tender age of 17. These books, small and handy were full of valuable information. Just the sort of book to read on the train journey home and want more to read! Most importantly the second half of these books were not carbon copies of advice as one finds in other breed titles. I always found that highly annoying. Twenty pages breed specific, then fifty generic pages of how to feed a puppy. I just wanted to toss those books in frustration. But these little handbooks were complete and different for each Breed. This book publisher was set up on Charing Cross Road, London, which at one time was bookshop heaven. My father always talked of the days he lived in the various bookshops on the Charing Cross Road. Christina Foyles was an incrediblely strong woman, and according to the Foyles website, her father sent her to Stalinist Russia to collect debts. No wonder these little books were produced with good paper and bindings making an old copy still readable today! Christina only wanted perfection! These little handbooks were written by experts in their field. The Irish terrier was written by Edna Howard Jones, a dedicated notable Irish terrier fancier, who knew her dogs from tail to nose. 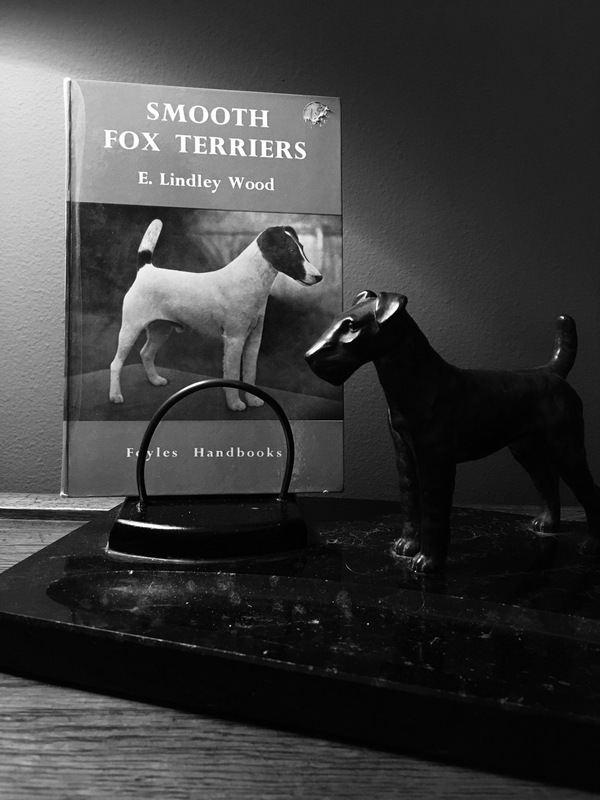 The Smooth Fox Terrier was written by the noted dog fancier E. Lindley Wood. It’s a shame Foyles no longer produces these little handbooks as I am sure a modern version would sell just as long as the breed written about has four paws on the ground. In the meanwhile…I continue to live in the past! This entry was posted in Books, Dogs and tagged Books, Christina Foyles, collectibles, Dogs, e lindley wood, edna howard jones, Fox Terrier, Foyles, Irish Terrier, russia, smooth fox terrier, stalin, terrier handbook, Terriers. Bookmark the permalink. Foyles was my favourite bookshop when I was in university in London in the late 1960s. My dad used to drag me up and down the road. I don’t remember names of shops but they were all magical Harry Potter type of things, same at the British Library Bloomsbury days. I just ran into these shops. Somehow my dad always found the money to buy me a book!